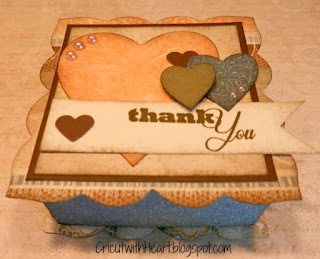 For today's post I created this adorable gift box using the Florentine paper pack. 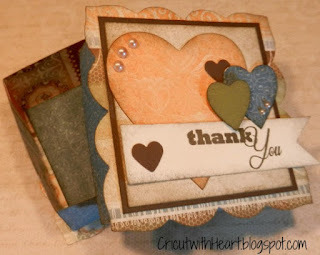 I have to admit I was a little hesitant to try this project because I thought it would be difficult, boy was I wrong. This is so easy! Try it today. If you don't have the Artiste cartridge yet now is the time. You can purchase your Cricut Artiste bundle by clicking the Buy Now button on the side bar. Your Cricut bundle we be delivered to your door in about a week and you can join in the FUN! I LOVE the assembly book that is included with this cartridge (pictured above). 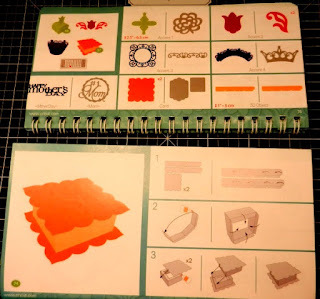 It has easy step by step directions to make completing projects faster, simpler and easier! !